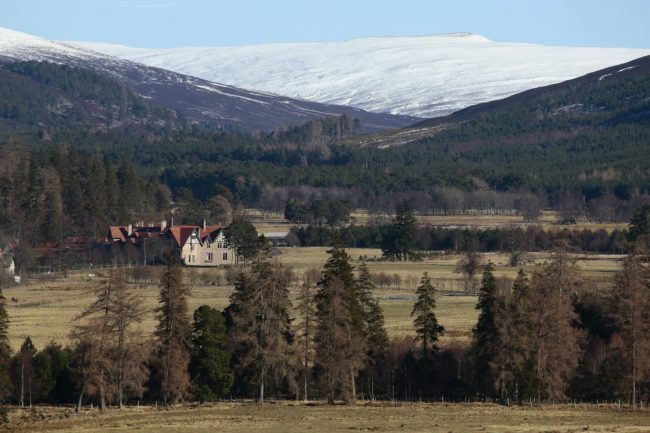 The wild beauty of the Cairngorms unfolds around a 19th-century sporting lodge on this spectacular estate. Mar Lodge Estate is made up of more than 29,000 hectares of astonishing Scottish landscape: heather-covered moorland, Caledonian pine forest, towering mountains and the Quoich wetlands, home to wading birds and otters. There are 15 Munros here (mountains over 914m/3,000ft high), including 4 of the 5 highest mountains in the UK. The beautiful ancient pinewoods are home to red squirrels and pine martens as well as birds such as the crossbill and black grouse. We have a wide range of landscape conservation projects underway, including woodland regeneration, footpath repair and reducing the damage caused to woodland by red deer. The estate is one of the most important areas for nature conservation in the British Isles and in 2017 it was awarded National Nature Reserve status – making it the largest NNR in the UK.